He might just be the hero of the entire Star Wars universe. This plucky Astromech droid has saved the “heroes”. carried vital information. and provided a breath of much needed comic relief in a galaxy far far away where things haven’t always been going well. With all those things in mind. Sideshow has chosen to once again honor our favorite copilot - R2-D2. 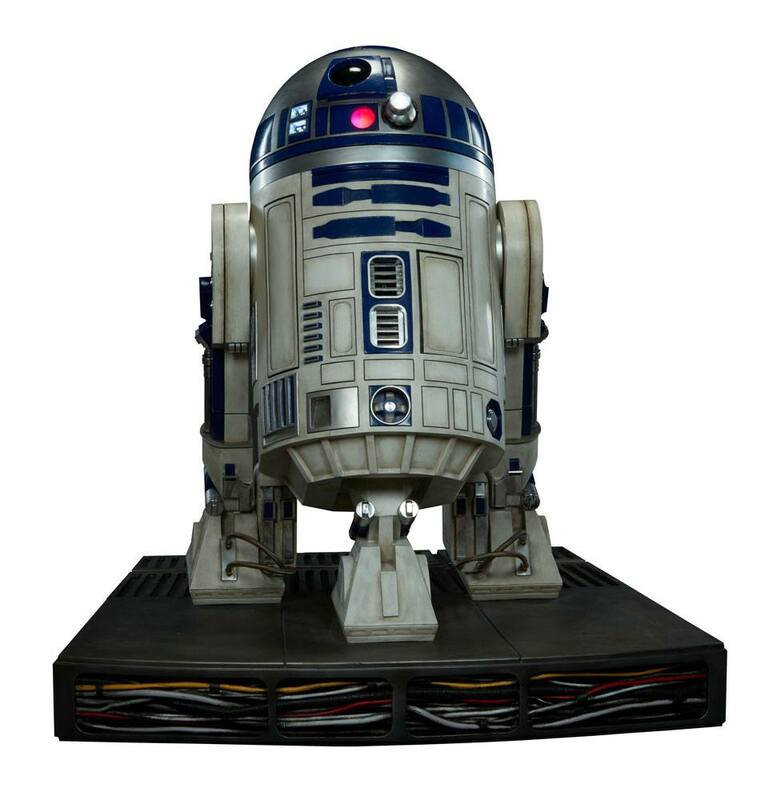 The Limited Edition R2-D2 Life-Size Figure features a brand new sculpt of our old friend. More realistic than ever before. this representation features screen accurate lights and sounds. The lights and sounds can be triggered with the included remote control that stores in a hidden compartment just next to the speaker. For those wishing to add even more depth to the story of R2. his dome can be rotated to the right and left. along with the holographic projectors. R2 is standing atop a Millennium Falcon themed base. to give an added air of presence to your collection. The Life-Size R2-D2 is an incredible addition to any collection and the perfect way of bringing the world of Star Wars into wherever you choose to display him.